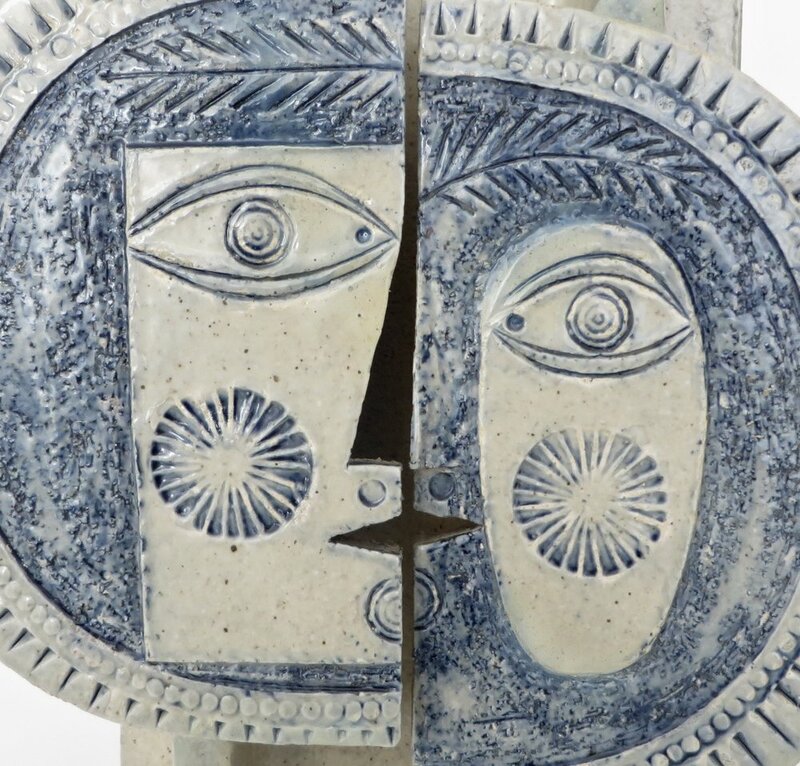 Roger Capron French ceramic table lamp “Le Jour et La Nuit”. This lamp was designed and produced by Roger Capron and Jean Derval in 1969 in Vallauris, France. It is the rare blue and gray color. Singed Capron, Vallauris. A shade can be provided.